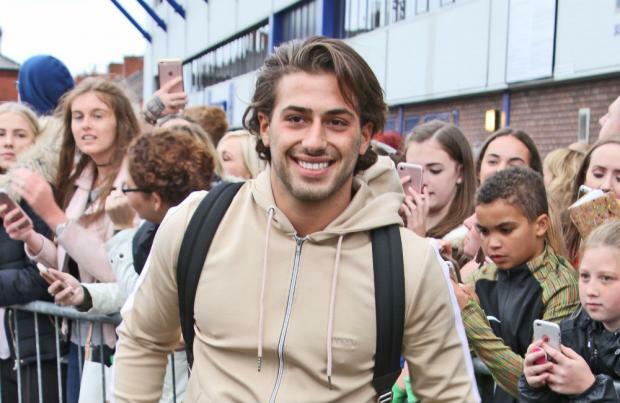 Kem Cetinay spent years "completely depressed" and once felt as though he "didn't want to live [his] life any more". The 'Love Island' star was diagnosed with post-traumatic stress disorder and depression after an operation to remove his tonsils went wrong leaving him with kidney failure aged 14, and there were times when he would refuse to leave his bedroom for days. Speaking about being on "strong" anti-depressants, he said: "I felt drowsy, it was scary. I felt drugged up, to be honest. They were strong. "There was a point in the three-year spell I wasn't really living, I wasn't doing anything. I was completely depressed. "I had thoughts that I didn't want to live my life any more. "I felt there was no value to it. I lost all the things I enjoyed doing." Kem's anxiety issues began when he was 10 and he became "obsessive" over his mum Figen after she was diagnosed with septicaemia and went into a coma. The 21-year-old hunk was a semi-professional footballer during his youth but his talent started to fade when he "lost all [his] confidence" after he went under the knife, and he refused to go out in public, once spending all 14 days of a Mexico holiday in his hotel room. He said: "After the operation - I'd lost so much weight - my football started going downhill so I lost all my confidence. "I thought everyone was looking at me and it just escalated. I refused to go out to public places. "I started having to leave lessons because I felt like I was having a panic attack. "Then it started going from once a week to every day, then I started to refuse to go to school. It was then they decided they wanted me to see someone." The reality TV star - who is dating Amber Davies after they met on the latest 'Love Island' series, which they won - saw nine therapists before one finally helped him turn his life around, and aged 20 he managed to pluck up the courage to speak to girls. Speaking to The Sun newspaper, he added: "When I said in the villa I'd never had a girlfriend, this was a big part of it. I never knew how to speak to girls, I never had the confidence. "The year before 'Love Island' was the only one where I felt more comfortable talking to people in general."